Images courtesy of His & Hers Photography. 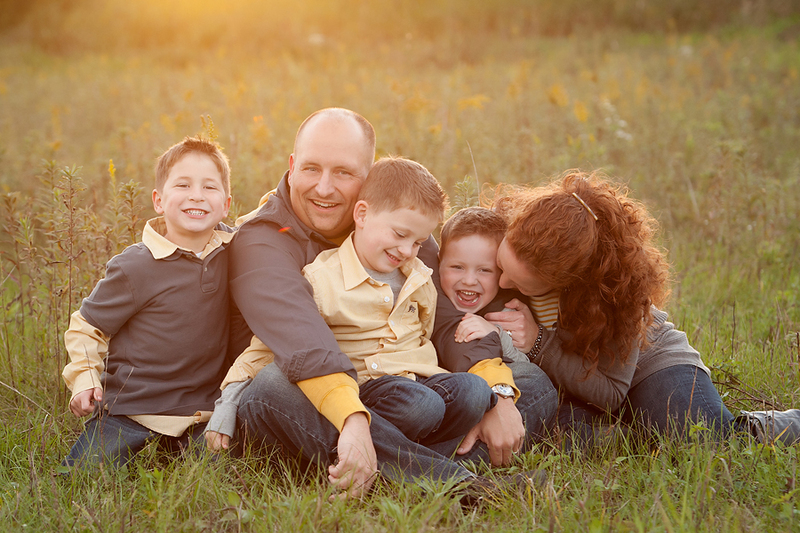 These images (and any of the family sessions that we have had in the past) mean the world to us. In fact, next to the real live beings of the people pictured here, they are probably some of the most valued possessions that we have. Nothing could ever replace this time in our lives. This is the time when we were their heroes and their entire world. This is the time when we received unsolicited hugs and random "I love yous." This is the time when they giggled and squealed like little girls. This is the time that they still had all their baby teeth (even though they so desperately want to start losing them.) This is the time that we were just together and being us. Our favorite part about these is that we can look at them and hear the laughter. We can feel their sweet little hands on our faces or arms wrapped around us in a big, squeezy embrace. We can see each our personalities. We can see our relationship. Not only does it takes us back to this time but also all those other special "together" moments - Saturday morning snuggles, lazy weekend tickle fests, nightly hugs and kisses... We specialize in family photography because we want everyone to remember "that time."